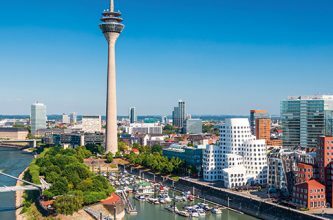 The next REFORME Meeting will take place in Düsseldorf on the 24th of March 2017 hosted by the BZB. The partners will exchange about the projects to be presented for funding within the Strategic Partnership Key Action 2 of the Erasmus+ Program. Quality of company tutors accompaniment in SME in painting sector, new pedagogical approach related to environmental issues linked to the construction sector, digital innovation in order to improve the quality of the mobility activities of trainees…these and other issues will be the core of the next projects of the REFORME Network members. Thanks for the well wrote the post. It has wonderful and interesting information. Always maintain this high quality in your upcoming posts. Your blog is a superb platform to get some good knowledge. On this particular post, you have shared the news which very informative and well written. Refer custom essay writing service to get online writers. Samsung Electronics, the crown jewel of the Samsung Group, is expected to conduct its next shareholder meeting on March 24 according to an industry source cited in a new report out of South Korea today. I simply want to mention I’m very new to weblog and absolutely liked this blog site. Likely I’m planning to bookmark your blog . You certainly come with really good well written articles. Cheers for sharing with us your website page. Cheat Online Exam The leading assignment help UK firm offers state of the art services to its clients with a promise of delivering all the required work well within the deadline. I think that new reforms are required, but people should not suffer from reforming the system overall. This overhaul leads to bad consequences. http://customessays.ws/blog/essay-on-journalism-and-society.html is ready to help you with your future writings!